History Underground is a grassroots movement started by two US History teachers in Spartanburg, South Carolina. 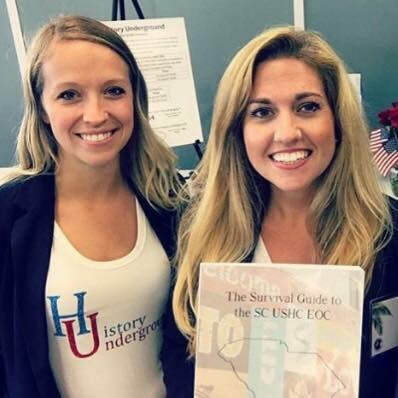 With over 16+ years of experience between them, they've perfected the art of preparing their students for the SC EOC in US History. The mission of History Underground is to transform the way that SC high school students prepare for the US History EOC. Our goal is not only to prepare them for the test, but to present pertinent information in a way that sticks with them long after they l​eave your US History classroom. Whether you're a first year teacher, or a veteran looking for new ideas, our teacher guides and student workbooks provide US History EOC prep like you've never seen before.